The Fuchsia Appeal runs annually to raise funds for ONE’s charitable endeavours, namely the provision of accommodation and other assistance to ex-service personnel in need. The following is a LINK to an article on ONE Homes in the digital edition of the Irish Times. The Fuchsia was chosen as a symbol as it is widely grown throughout Ireland and is commonly known as Deora Dé or God’s Tears in the West of Ireland. It is also a fundraising emblem, a badge of remembrance and a symbol of honour to those currently serving in the Defence Forces. 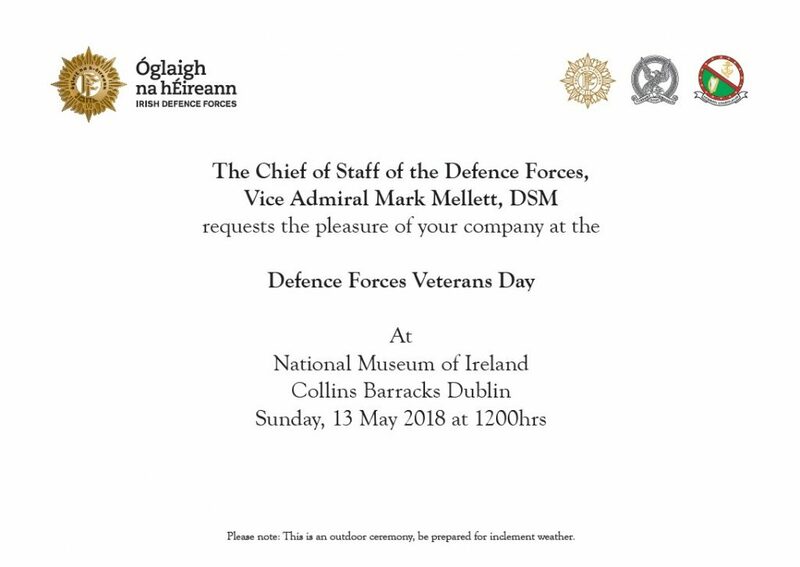 The Chief of Staff of the Defence Forces, Vice Admiral Mark Mellett DSM, has issued an invitation to members of the Association of Retired Commissioned Officers to attend the Defence Forces Veterans’ Day, which will be held at McDermott Square, Defence Forces Training Centre, Curragh Camp on Sunday, 8th October 2017 at 1200 hours. A representative group from each of the three national organisations (ARCO, ONET and IUNVA) will march onto the square to be reviewed by the Minister with Responsibility for Defence, Mr. Paul Kehoe, TD. 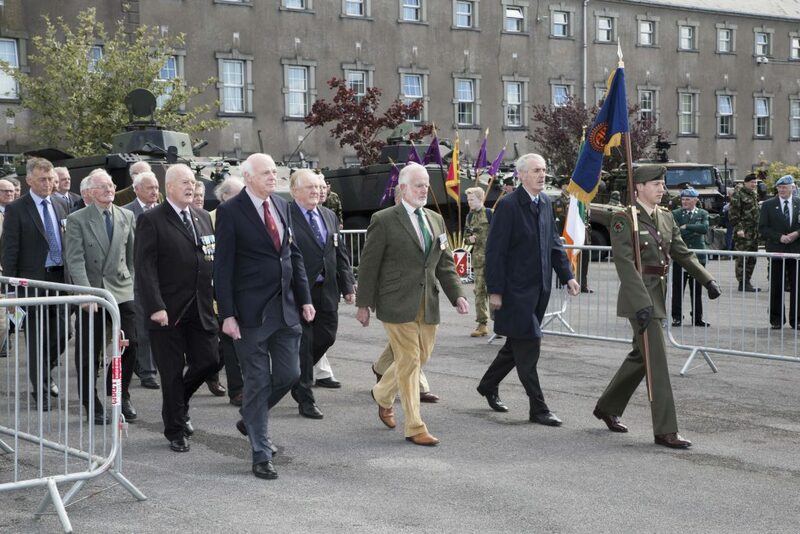 The parade will be followed by a Defence Forces’ equipment and capability display. Light refreshments will be available in the Dining Centre. The event is open to all veterans and to their families. The Executive Committee encourages members to attend this event and to wear their medals. Volunteers to participate in the ceremony will be sought on the day from among those members attending. The Cavalry Club Annual Dinner will be held in the Officers Mess, Cathal Brugha Barracks on Saturday, 04 November 2017 at 1900 hrs. The Club President and Committee hope that all retired officers of the Cavalry Corps can make a special effort to attend. 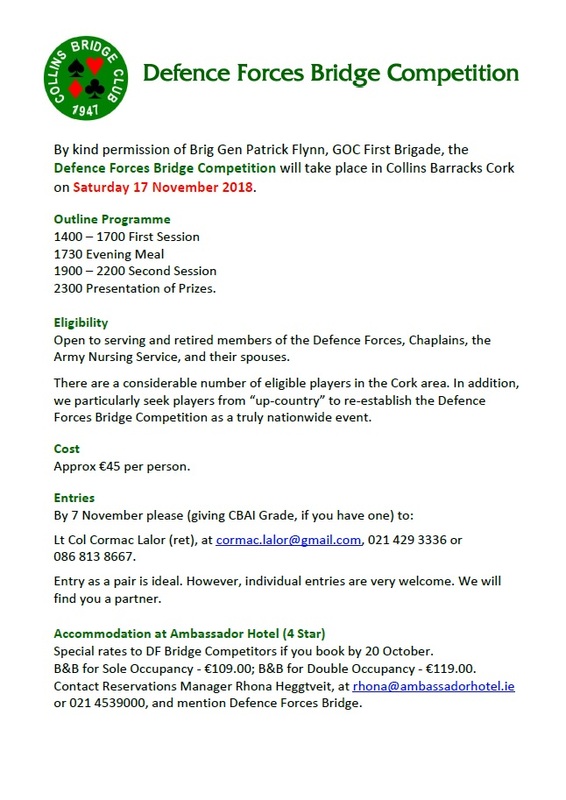 To make a booking please contact the Honorary Secretary, Lt Damien O’Herlihy via email on damien.o’herlihy@defenceforces.ie or damienoherlihy@gmail.com or via mobile 087-6486901. This year the Corps of Engineers Annual Dinner will take place on Thursday, 26 October 2017 at 1900 hrs. It will be hosted with the kind permission of GOC 2 Bde in the Officers Mess, McKee Barracks. Retired officers of the Corps are invited to attend and should make contact with Captain Kevin O’Reilly at 01-8046722 or at kevin.oreilly@defenceforces.ie. Please pass this information to any retired officer of the Corps of Engineers you may have contact with. The following are details of upcoming lunches to mark the retirement of three officers of Óglaigh na hÉireann. Members of ARCO may wish to attend the lunches or forward best wishes. Please note that subscriptions will not be sought as part of these functions. The lunches, however, must be booked in advance with the respective Offices’ Mess and members should arrange to discharge the cost of their lunch with the Mess concerned. Colonel Brian Dowling. A lunch will be held on Wednesday, 15 March, 2017 to mark the retirement, after 47 years’ service, of Colonel Brian Dowling, the former Director of Ordnance. The lunch will take place at 1330hrs for 1400hrs in the Officers’ Mess, Ceannt Barracks, Defence Forces Training Centre, Curragh. Those wishing to attend the lunch should notify Captain Eddie Mac Sweeney, the Mess Secretary at eddie.macsweeney@defenceforces.ie, 045 445006 or 045 445061, NLT 1630hrs on Thursday, 9 March, 2017. Lieutenant Colonel Jimmy O’Neill. A lunch will be held on Thursday, 16 March, 2017 to mark the retirement, after 47 years’ service, of Lieutenant Colonel Jimmy O’Neill of the Ordnance Corps. The lunch will take place at 1300hrs for 1330hrs in the Officers’ Mess Cathal Brugha Barracks, Dublin. 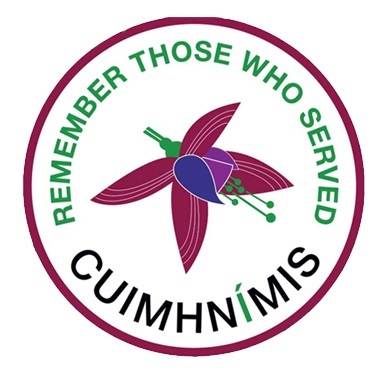 Those wishing to attend the lunch should notify the Mess Secretary at patrickt.ryan@defenceforces.ie or the Mess Sgt at maitiu.oaimhirnghin@defenceforces.ie 01 8046460 or 01 8046355, NLT 1630hrs on Monday, 13 March, 2017. Colonel Conor Fitzsimons. 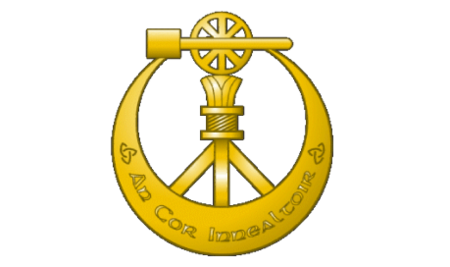 A lunch will be held on Thursday, 30 March, 2017 to mark the retirement, after 42 years’ service, of Colonel Conor Fitzsimons of the Artillery Corps. The lunch will take place at 1330hrs for 1400hrs in the Officers’ Mess, McKee Barracks, Dublin. 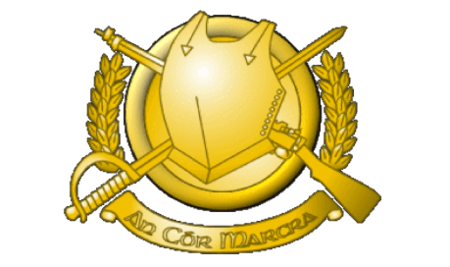 Those wishing to attend the lunch should notify the Mess Secretary at angela.lyons@defenceforces.ie, 01 8046194 or Captain Barry Jones, Liaison Officer at barry.jones@defenceforces.ie, 01 8046885, NLT 1630hrs on Friday, 24 March 2017. On 15 September, Mr Paul Kehoe TD, Minister responsible for Defence, launched The College: The Irish Military College, 1930 – 2000, by Colonel Tom Hodson, in Collins Barracks Dublin. Since its establishment in 1930, the Irish Military College has had a vital influence, not only on the Defence Forces, but on the nation itself. 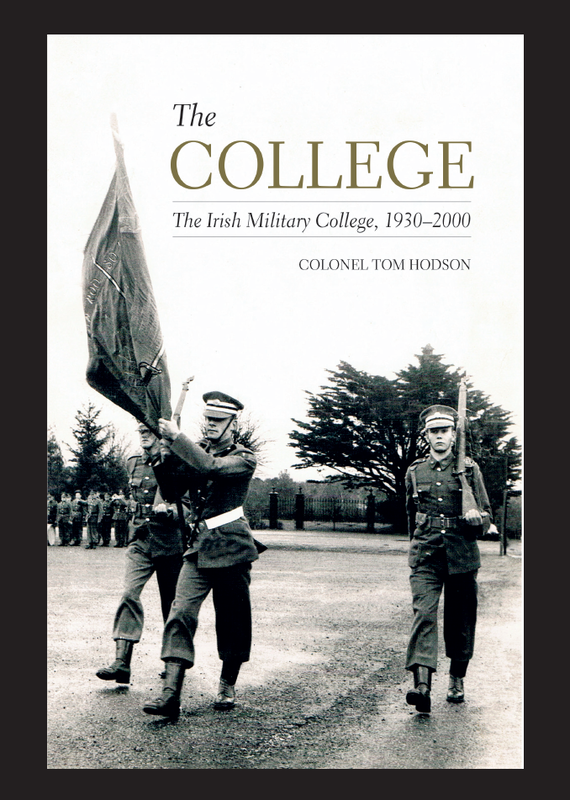 In his book Colonel Hodson, a former instructor in the Military College and a graduate of École de Guerre, Paris, recounts how from its early predecessor, the Army School of Instruction, the Military College has repeatedly re-invented itself, culminating in the requirement for this modern institution to embrace and impart instruction based on the needs of today’s Irish Defence Forces. The Association of Retired Commissioned Officers (ARCO) will conduct a formal and solemn Wreath Laying Ceremony in the Garden of Remembrance on Friday, 7 October 2016, commencing at 1200hrs. The ceremony will remember, honour and commemorate the participants in the 1916 Easter Rising and will also recall the involvement of ARCO members who participated in the commemorations marking the 50th Anniversary of the Rising in 1966. 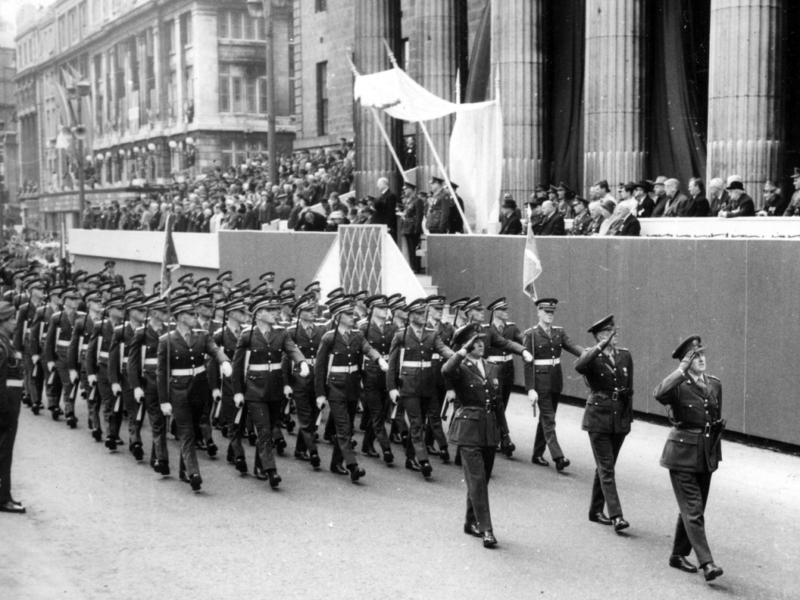 The 39th and 40th Cadet Classes marched in the Easter Parade on 10 April 1966 and the 39th Cadet Class provided the Guard of Honour at the dedication of the Garden of Remembrance on Easter Monday, 11 April 1966. The Ceremony will incorporate appropriate prayers, reflections and music. 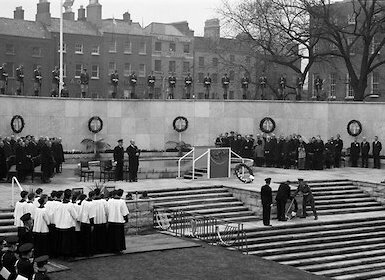 After the solemn laying of a wreath by ARCO’s President, Commander Gerard O’Flynn (Retd), a minute of silent reflection will be observed, which will be followed by a Piper’s Lament, the rendering of the Last Post, the raising of the Irish Flag to full mast, the rendering of Reveille and the playing of the National Anthem. The expected duration of the Ceremony is 30 minutes. A reception for all guests, participants and attendees will take place immediately afterwards in the Gresham Hotel, O’Connell Street. The Lord Mayor of Dublin, Representatives of the Government, Oireachtas, Defence Spokespersons and Defence Forces, along with representatives of kindred organisations, will be formally invited to the ceremony. The main cohort of attendees, however, will be drawn from the ARCO membership – including members of the 39th and 40th Cadet Classes & Class Officers who paraded in April 1966. All attendees are requested to be seated by 1140hrs to facilitate the arrival of dignitaries between 1145hrs and 1150hrs. Dress is Informal with Medals. Should adverse weather require the wearing of overcoats, medals should not be worn on the outer garment. As this is an outdoor event you are advised to come well prepared for all weather conditions. Dedicated car-parking is not available at the Garden of Remembrance for private vehicles. A set-down facility will be available at Parnell Square North, which will also be the location of the ambulance station. Entrance to the ceremony is through the Parnell Square North gate (opposite the Hugh Lane Gallery) which leads directly to the upper level plinth. This is where seating will be provided for attendees in the designated area left and right of the Children of Lir Sculpture. As this is a national event, organised by ARCO for its members, it is important that we have an appropriate turnout on the day. We therefore look forward to seeing many old friends and comrades in the Garden of Remembrance on Friday, 7 October 2016. The 2016 Veterans’ Day takes place on Saturday, 10th September in McKee Barracks, Dublin. Veterans’ Day reaches out to honour retired members of the Defence Forces and all Veterans have been invited. The Minister for Defence, the Chief of Staff and the General Staff will be in attendance. A shuttle bus service will be provided for Veterans from Busáras, and from Heuston and Connolly Railway Stations, to McKee Barracks (and return) beginning at 1030hrs. Guests will have access to McKee Barracks from 1100hrs and parking will be available. A Ceremonial Parade, presided over by the Minister for Defence, will take place at 1400hrs. ARCO, along with the other veterans’ organisations, has been invited to provide a Representative Body to participate in the ceremony. This will consist of a short multi denominational religious service along with the laying of wreaths to honour fallen comrades. Refreshments will be served from 1430hrs and a wide range of Military Displays will be on view from 1530hrs. We ask that as many ARCO members as possible attend this event and in particular participate in the parade. We look forward to seeing you in McKee Barracks on the day. ARCO members will wish to note the following important upcoming events, full details of which will be posted on this website closer to their individual dates. Saturday, 10 September – Veterans’ Day, McKee Barracks. 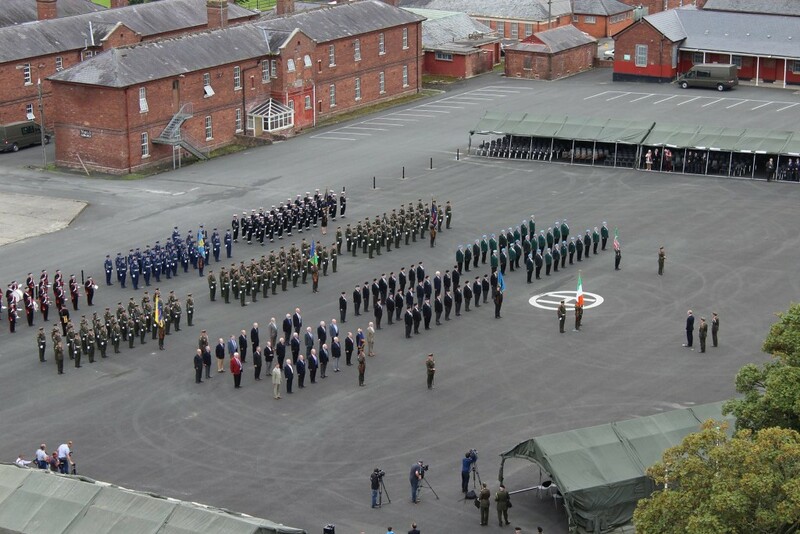 The 2016 Defence Forces Veterans’ Day will take place on Saturday, 10 September in McKee Barracks, Dublin. Veterans’ Day reaches out and honours retired members and their families. ARCO, along with the other veterans’ organisations, has been invited to provide a Representative Body to participate in the ceremony. This will consist of a short multi denominational religious service along with the laying of wreaths to honour fallen comrades. The event will provide an opportunity to meet old friends and comrades. A wide range of displays, including current Defence Forces’ equipment and systems, will be held in conjunction with the event. Light refreshments will be served and guests are invited to arrive by 1330hrs. Friday, 7 October – Wreath Laying Ceremony, Garden of Remembrance. ARCO will conduct a formal and solemn Wreath Laying Ceremony in the Garden of Remembrance on Friday, 7 October, commencing at 1200hrs. The purpose of the ceremony is to remember, honour and commemorate the participants in the 1916 Easter Rising. The ceremony also recalls the involvement of our membership, highlighting that of the members of the 39 and 40 Cadet Classes, in the commemorations marking the 50th Anniversary of the Easter Rising in 1966. The ceremony will incorporate appropriate prayers, reflections and music. After the solemn wreath laying, a minute of silent reflection will be observed. This will be followed by a Piper’s Lament, the rendering of the Last Post, the raising of the National Flag to full mast, the rendering of Reveille and the playing of the National Anthem. ARCO will formally invite representatives of the Government, Oireachtas, Defence Forces, etc. to the ceremony. Members, along with their families, are encouraged to attend and will be invited by means of our newsletter, text service and this website. The expected duration of the ceremony is 30 minutes. A reception for guests, participants and attendees will take place immediately after the ceremony in the Gresham Hotel, O’Connell Street. Guests are invited to be in place at the Garden of Remembrance by 1140hrs. Friday, 14 October – Annual General Meeting, McKee Barracks. The 22 Annual General Meeting of ARCO will be held in McKee Barracks, Dublin, on Friday, 14 October. Members will be asked in a later posting to notify our Honorary Secretary of their intention to attend. This is in order to facilitate entry to McKee Barracks and to provide the Officers Mess with our catering requirements. Coffee will be available in the Officers Mess from 1030hrs and lunch will be provided after the meeting. This is an important annual event in the ARCO calendar, which affords members the opportunity to engage directly in the formation and shaping of ARCO policy.